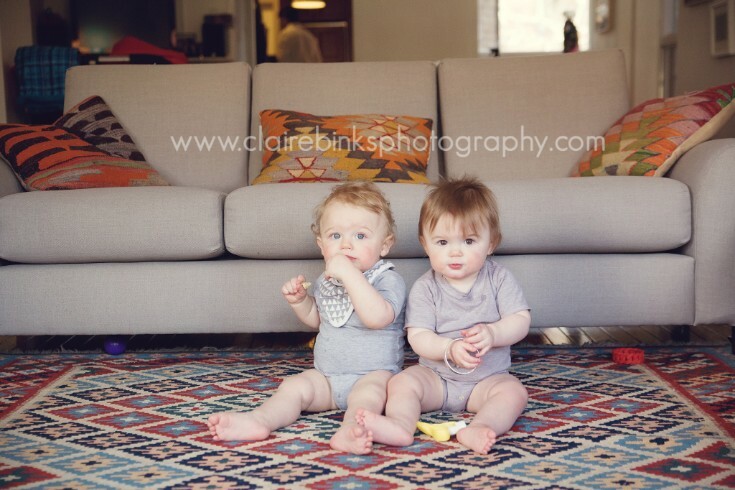 I love photographing babies in the 6-10 month range so these adorable little twin brothers were a dream to photograph! How adorable are they in their matching polo shirts?! These photos make my heart smile. Interested in having a session for your own family? Contact me today and lets make it happen! Claire Binks is a natural light photographer specializing in Maternity, Babies, Newborns, Children and Families in the Toronto area. With a laid-back lifestyle approach, Claire's goal is to capture the true moments that tell your story. If you want to book a session with Claire Binks Photography, click here. I look forward to working with you some day soon! 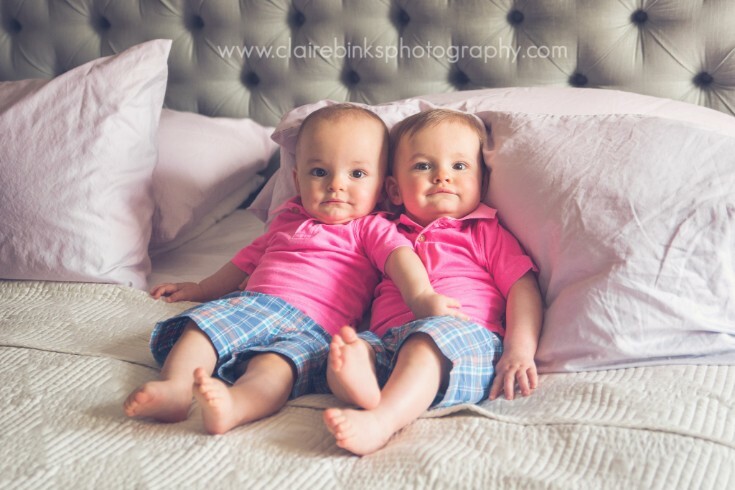 How cute are these 11 month old twins! I loved this at home session. Doesn't get much cuter than these two! Have multiples? I'd love to photograph them! Contact me today to book your session! Claire Binks is a natural light photographer specializing in Maternity, Babies, Newborns, Children and Families in the Toronto area. With a laid-back lifestyle approach, Claire's goal is to capture the true moments that tell your story. If you want to book a session with Claire Binks Photography, click here. I look forward to working with you some day soon! I loved spending the afternoon with these girls as they celebrated their first birthday! It was a blast. The girls had fun eating their birthday cakes made by Jeannie's Om Nom Nom Bakery (they were as delicious as they were beautiful!) and looked adorable in their birthday outfits! Congrats to mom and dad for making it through the year! Having a birthday party for your little one? Contact me today to book your special event. Claire Binks is a natural light photographer specializing in Maternity, Babies, Newborns, Children and Families in the Toronto area. With a laid-back lifestyle approach, Claire's goal is to capture the true moments that tell your story. 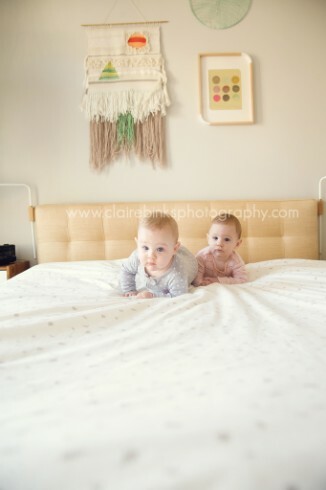 If you want to book a session with Claire Binks Photography, click here. I look forward to working with you some day soon! I adore these little girls. I feel so lucky to have been able to spend so much time with them in their first year. Such beauties with totally different but totally awesome personalities. Have multiples? I'd love to photograph them! Contact me today to book your session. Claire Binks is a natural light photographer specializing in Maternity, Babies, Newborns, Children and Families in the Toronto area. With a laid-back lifestyle approach, Claire's goal is to capture the true moments that tell your story. 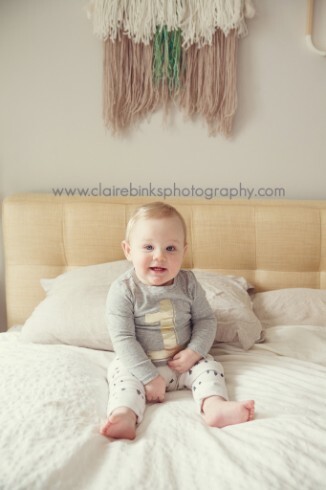 If you want to book a session with Claire Binks Photography, click here. I look forward to working with you some day soon!